It’s that time of year again; grab your silly hat, sparkly dress, bow tie and secret Santa gift and head to some of the county’s best hotels and restaurants for a festive feast with family, friends or colleagues. 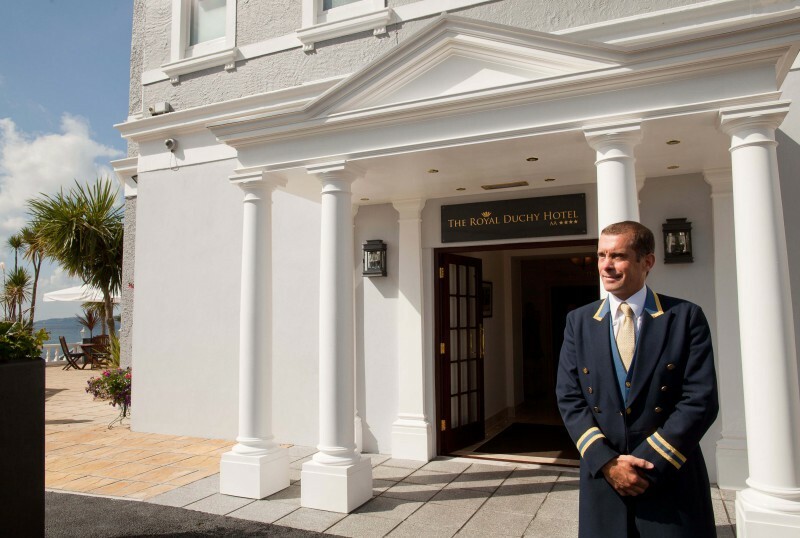 The trees and decorations are up, the view is as wonderful as ever and staff at The Royal Duchy Hotel are preparing to serve daily festive lunches in the hotel's award-winning Pendennis Restaurant. In addition to traditional favourites like roast turkey with all the trimmings and Christmas pudding with brandy ice cream, the three course menu offers a choice of starters, mains and desserts, plus coffee and mints. Invite your friends, family or colleagues to Lusty Glaze and enjoy Christmas at the cove this year. 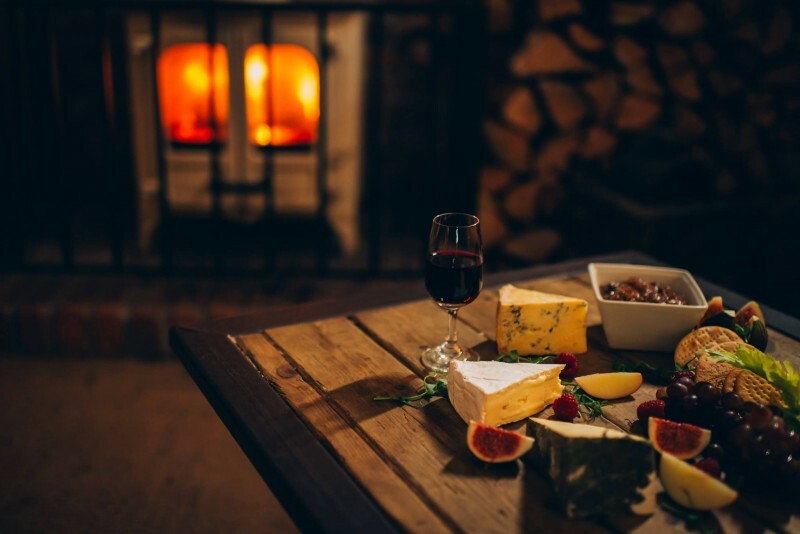 The kitchen is serving up a range of delectable dishes to feast on whilst you sip champagne, watch the stormy weather over the beach and soak up the festive merriment by the fire. Menu choices include pan fried salmon, goats cheese and beetroot tart, slow cooked beef - and of course, turkey with all the trimmings. Situated right on the water’s edge in Falmouth this historic hotel is the perfect place for festive feasts. 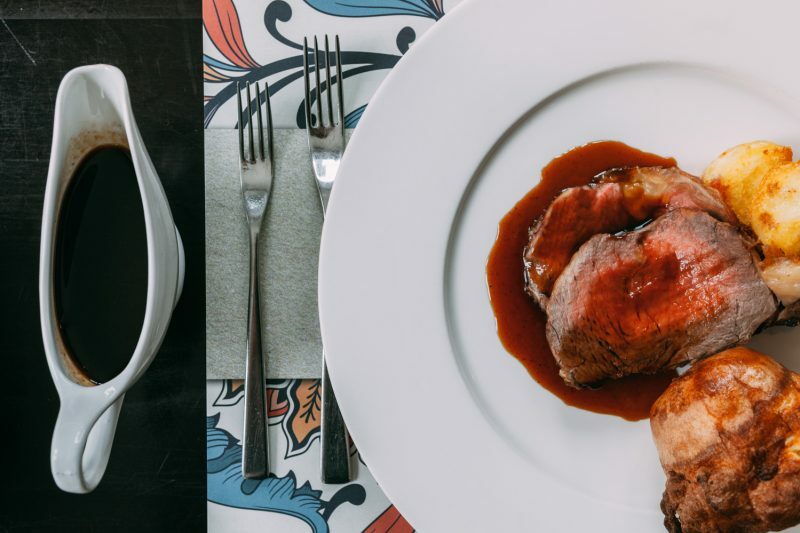 Indulge in pigs in blankets, parfait, spiced puddings and much more – whether you’re after a laid-back lunch or lively party, The Greenbank is the place to be. 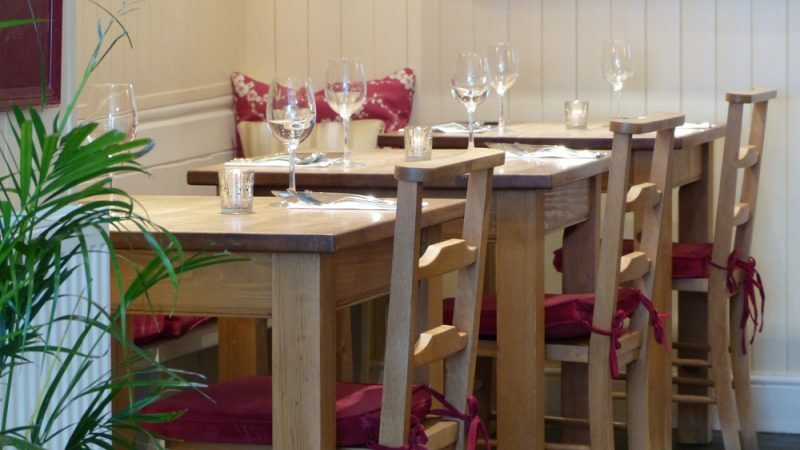 Located in the centre of Truro, this restaurant and wine bar is great for festive occasions. Choose a glass of something from the extensive wine list, before tucking in to a delicious set menu – featuring starters of gin cured salmon, or beetroot tarte-tatin and mains of pancetta-wrapped turkey breast and pan fried Pollock. Make sure to leave a little room for dessert and choose from steamed Christmas pudding, salted caramel tart, or homemade brandy snaps filled with port and orange soft fruits. Sip your complimentary festive cocktail and enjoy the Mullion Cove’s impressive view across the Atlantic Ocean before treating your taste buds to a tantalising three-course meal. Finish the evening with coffee and petit mince pies before dancing the night away. 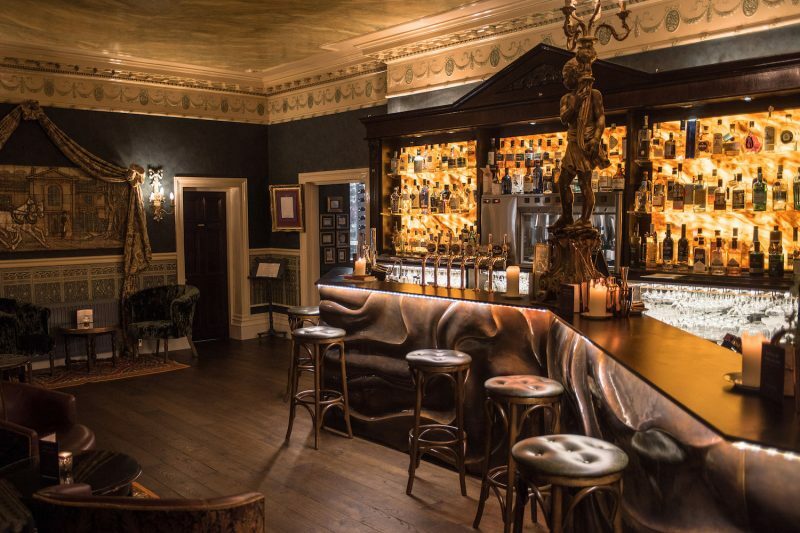 The Penventon’s opulent interiors have been adorned with fairy lights, the bar (home to over 100 different gins) is brimming with scents of mulled wine and the festive menu is jam-packed with delicious treats – it’s the perfect place to enjoy a festive meal with friends, family or co-workers. Indulge in a delicious three-course dinner featuring vodka and pink peppercorn cured salmon, full turkey dinner and caramelized lemon tarts, before hitting the dance-floor and boogying the night away. 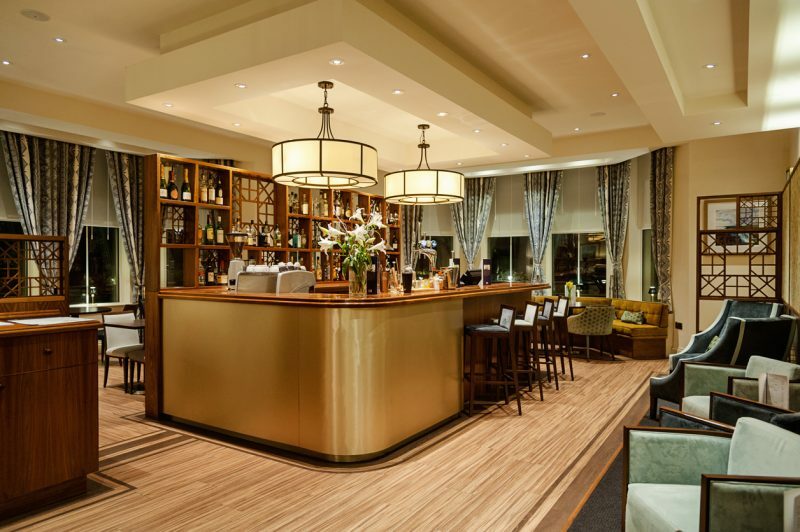 Forget the stresses of driving or booking a taxi home and extend your celebrations by checking into The Cornwall Hotel and recovering from the evening’s festivities with a hearty Cornish breakfast the following morning. 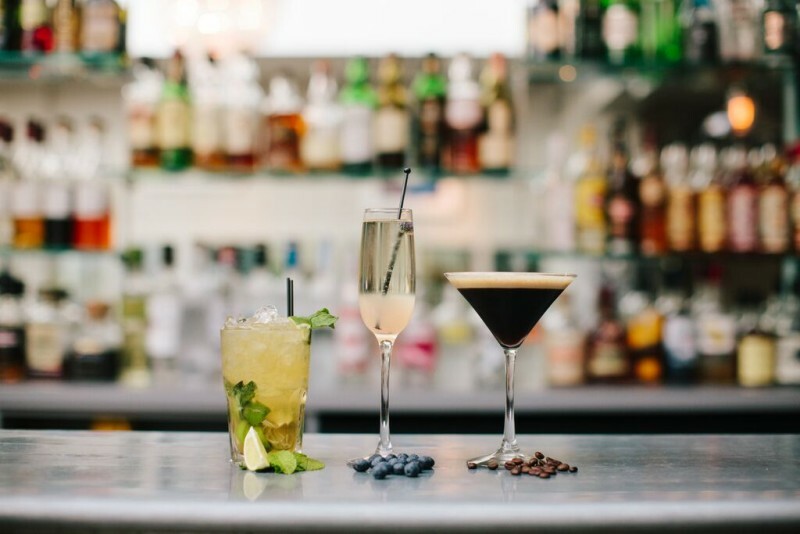 With its warm and tranquil atmosphere, tasty Christmas menu and impressive cocktail options, Saffron Truro is a great place to hold your event this winter. 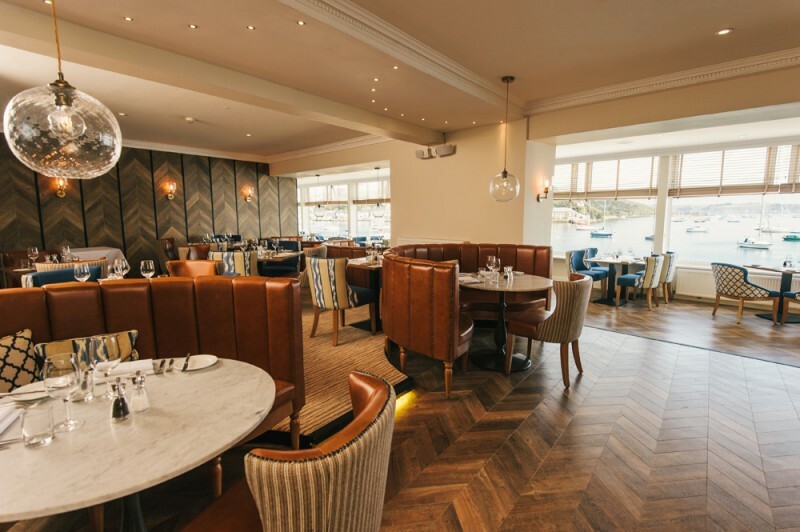 Enjoy a fantastic selection of dishes ranging from Cornish scallops and seared , to char-grilled steaks - followed by sticky-toffee pudding chocolate fondants and of course, Christmas pudding.